British politicians are divided over Brexit, but they agree that the process is in a mess — and many blame Theresa May, who has refused to consider alternatives to her deal and failed to win changes to the agreement from the EU. Britain has just a few weeks to break its Brexit impasse, with the fate of the country’s departure from the European Union and that of Prime Minister Theresa May both hanging in the balance. Brexit explained: Deal or no deal? With British politicians deadlocked, EU leaders last week granted Britain a two-stage “flextension” to Brexit, which had been due to take place on March 29. Under the new plan, if UK lawmakers approve the divorce deal agreed upon between Britain and the bloc, the country will leave the EU on May 22. Many Conservatives are now calling for May to step down. 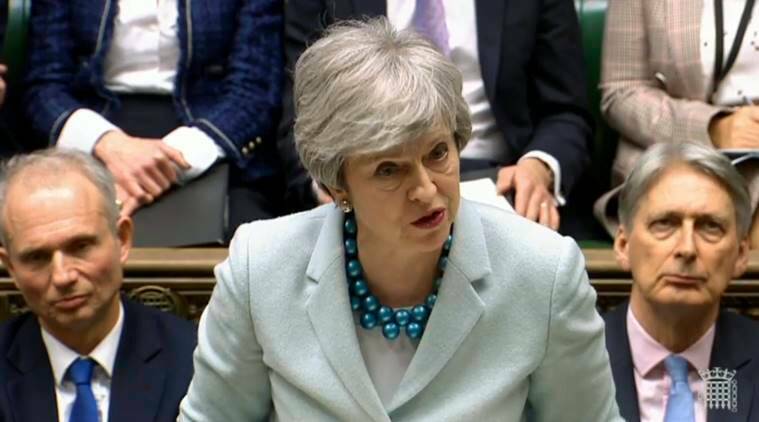 Some pro-Brexit Tories who have so far opposed her deal say they would support it if she promised to hand over the next stage of negotiations _ when Britain and the EU will hammer out their future relations _ to a new leader. 1 Few details, Rs 3.6 lakh crore-question: Will Rahul Gandhi's minimum income scheme be a top-up or subsidy tweak?